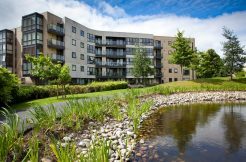 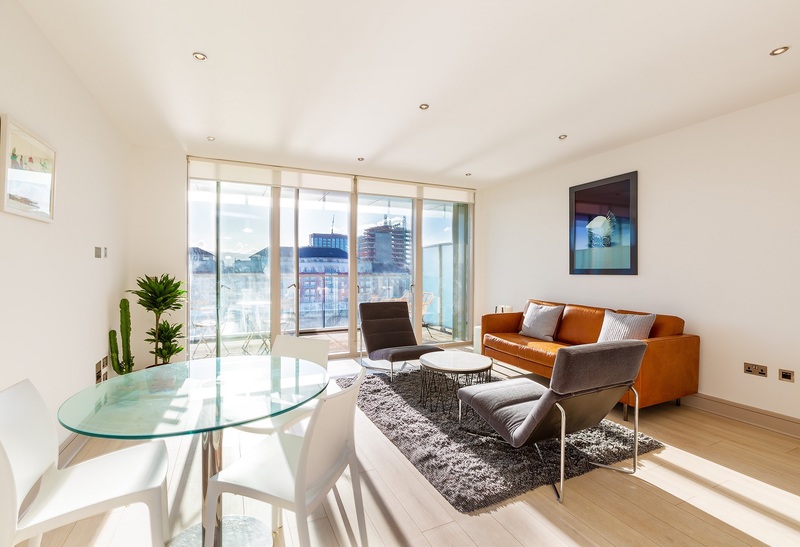 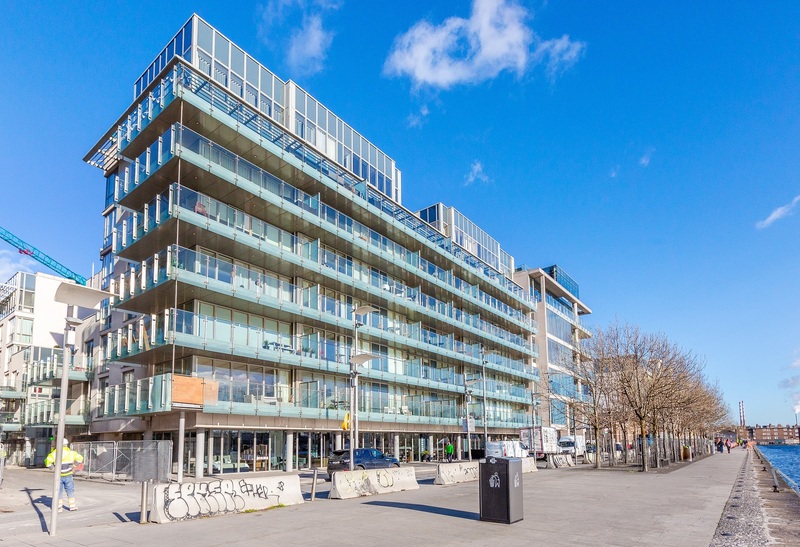 An exceptional, two bedroom, two bathroom apartment with breathtaking water views over Grand Canal Dock which take in the Dublin Mountains and the Aviva Stadium. 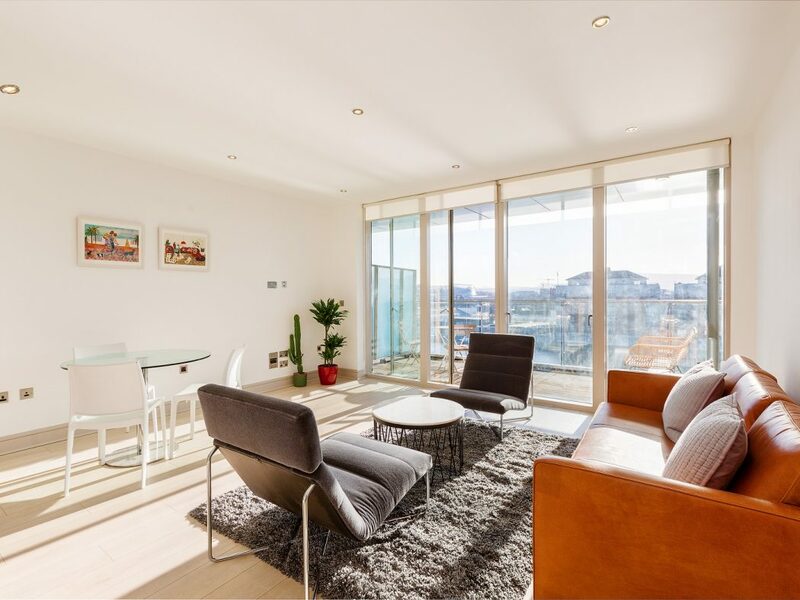 This property, situated on the 5th floor, enjoys a particularly spacious, south facing terrace which is accessed from the open plan living/dining room with floor to ceiling glazing. 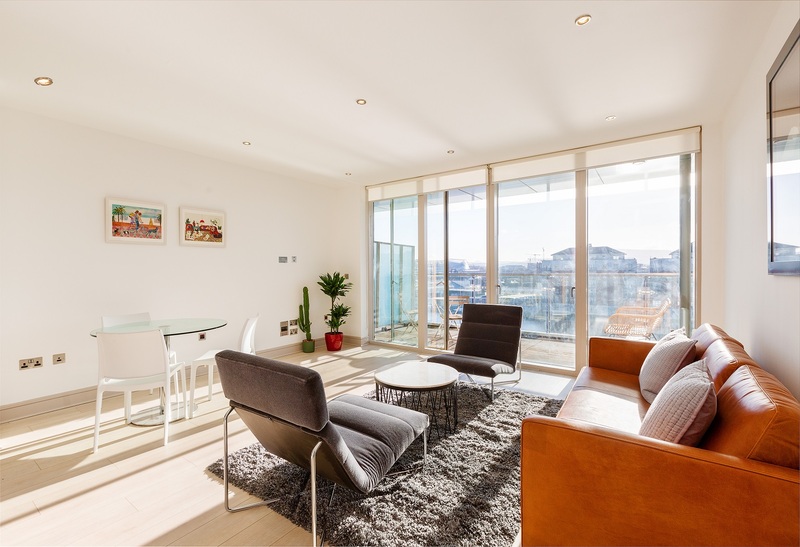 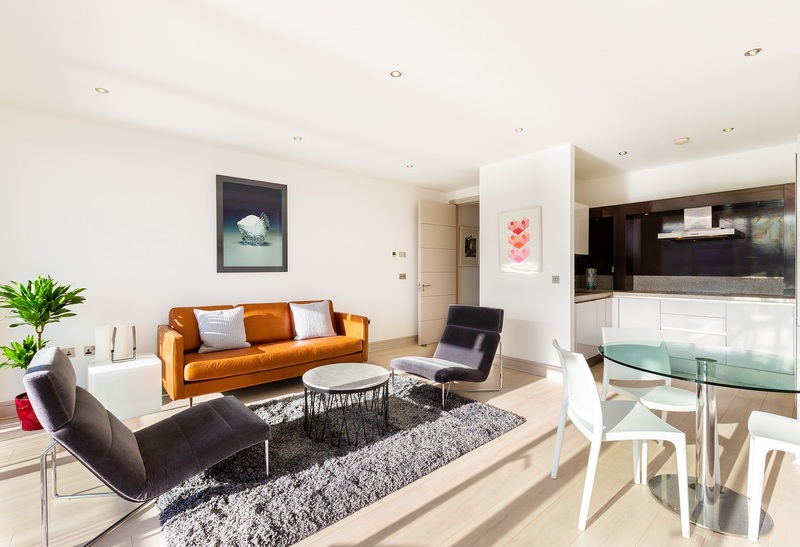 The Waterfront is regarded as one of the most prestigious developments in Dublin. 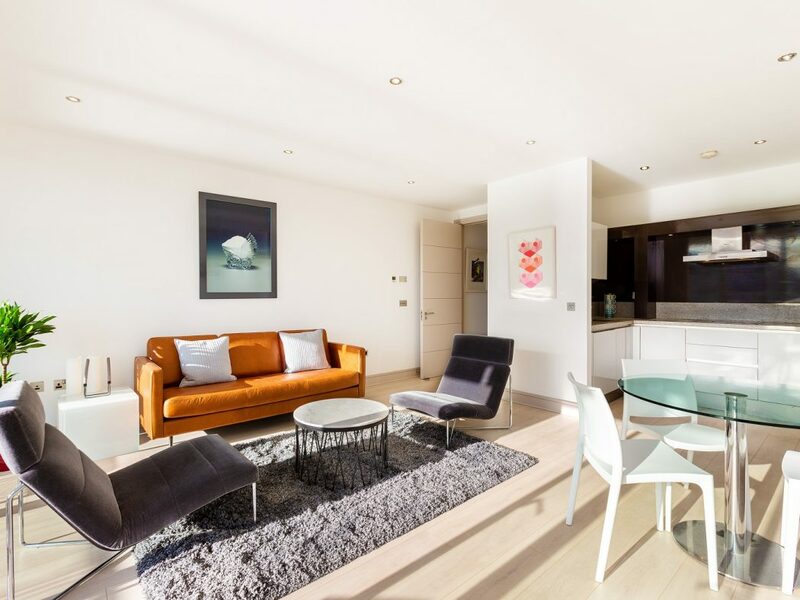 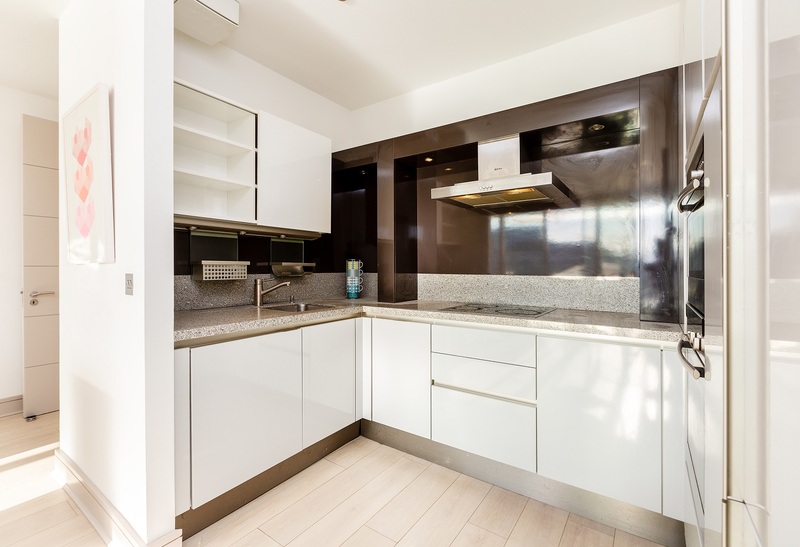 Notable features include high ceilings, under-floor gas fired centralised heating, a high specification SieMatic kitchen with Neff appliances, two Villeroy & Boch bathrooms and a designated parking space. 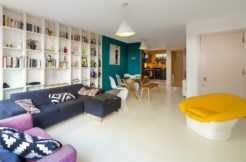 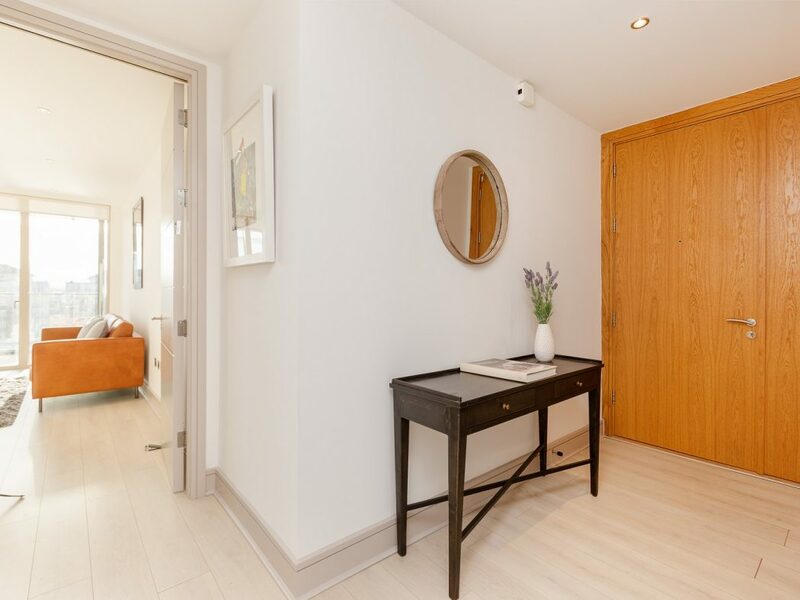 The light filled interior comprises an entrance hall with a generous storage room, open-plan living/dining room and kitchen with access to the generous sun terrace, two double bedrooms, a master en-suite and a bathroom. 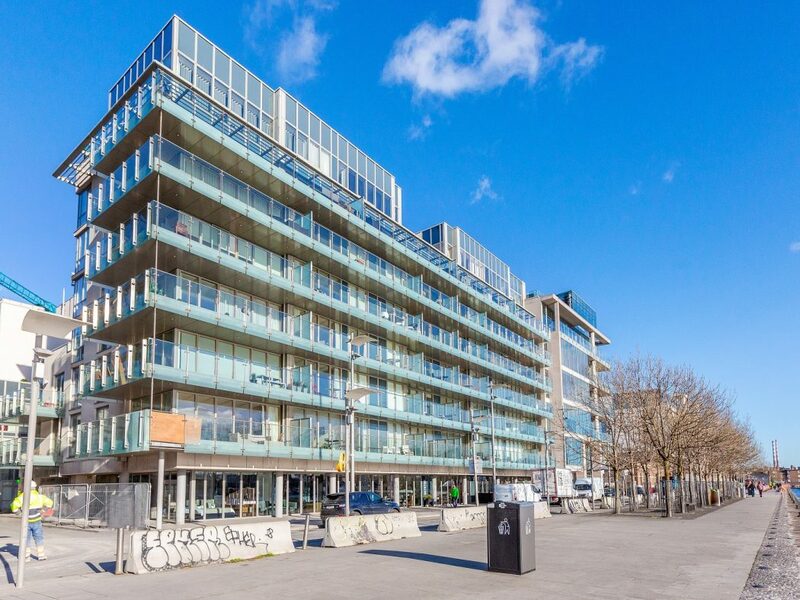 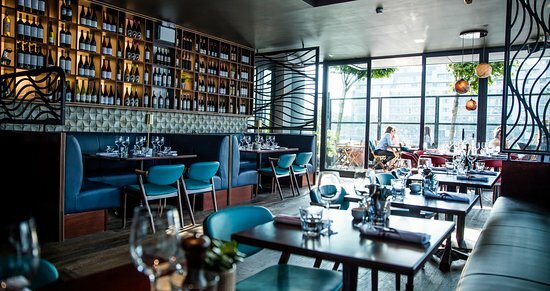 A hugely sought after location in the heart of Grand Canal Dock, one of Dublin’s most fashionable and vibrant city districts. 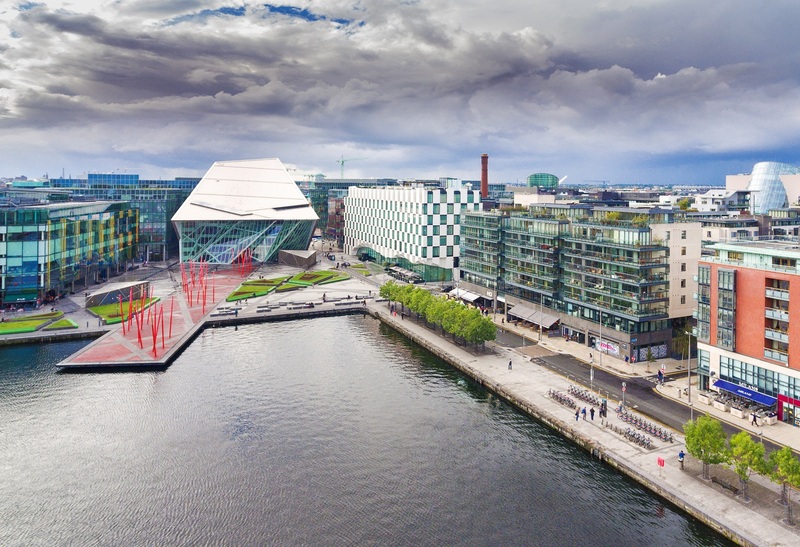 A host of amenities are on offer including a wide variety of cafes, restaurants, gyms and sports clubs as well as the renowned Marker Hotel and iconic Grand Canal Theatre. 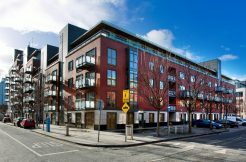 The city centre, Ballsbridge, the IFSC and Sandymount are all within walking distance while the DART and LUAS provide easy access to the rest of the city. 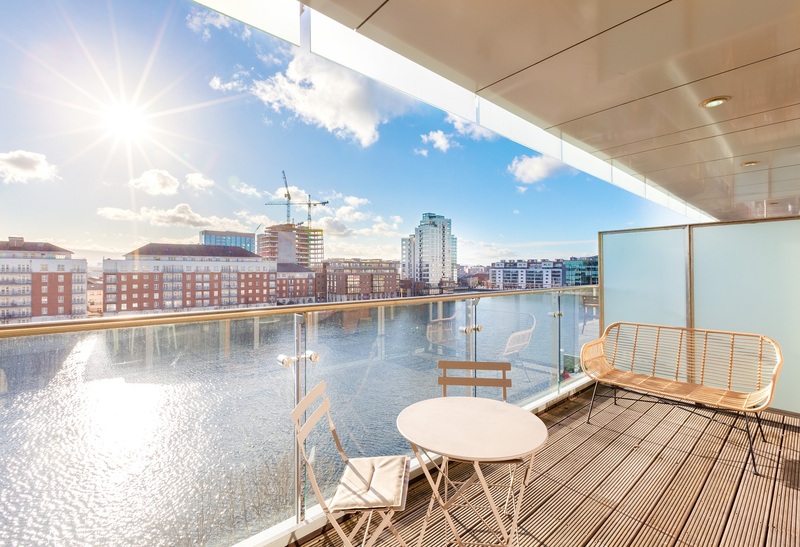 Grand Canal Dock is already home to major employers such as AirBnB, HSBC, Google, Facebook, Matheson and McCann Fitzgerald, and is welcoming new corporate tenants JP Morgan and Aptiv who have recently taken up occupancy in new developments in the area. 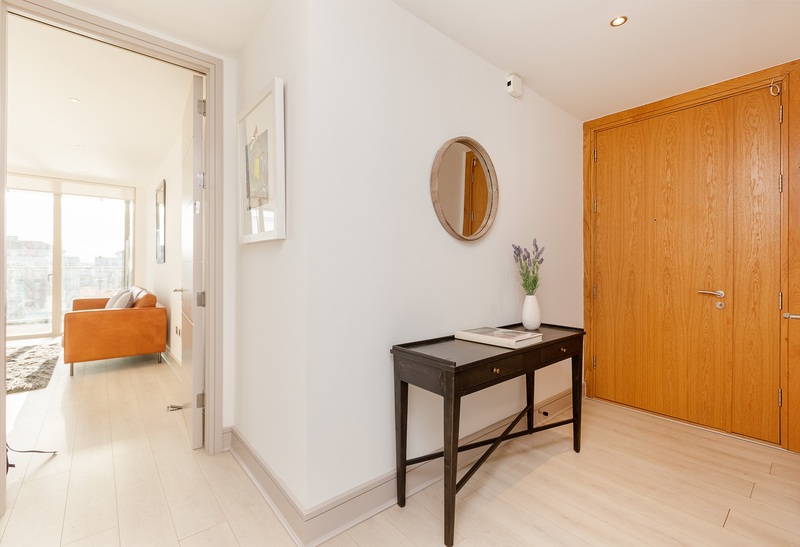 Welcoming entrance hall featuring video intercom, grey oak affect flooring and a generous storage room. 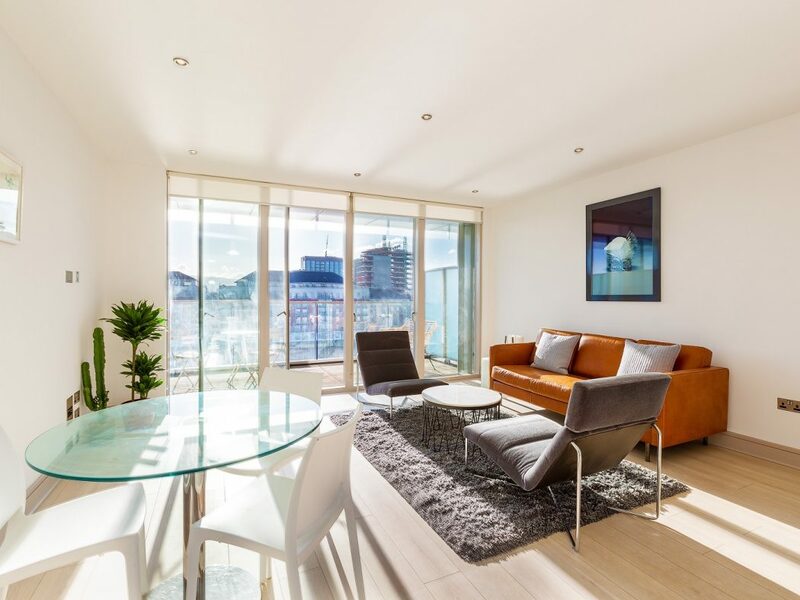 South-facing, open-plan living/dining room with stunning water views and floor to ceiling glazing providing access to terrace. 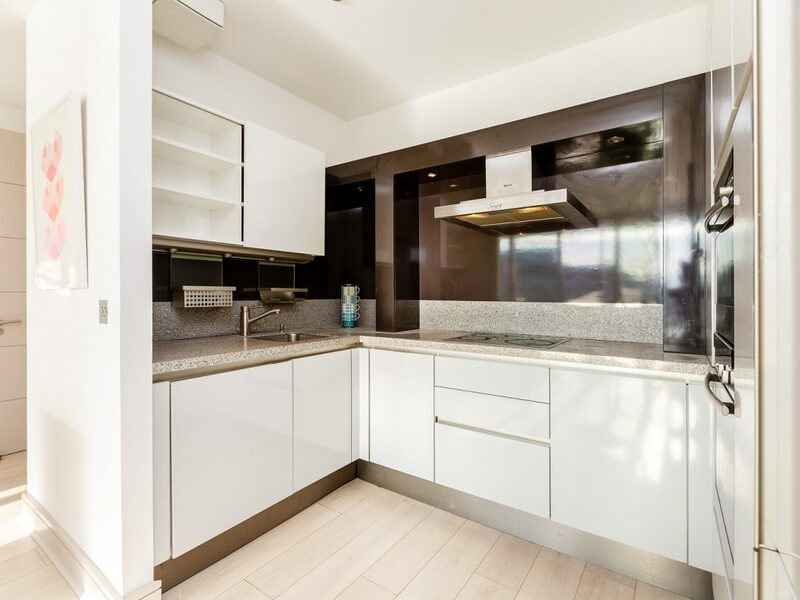 Contemporary, light grey gloss SieMatic kitchen with Neff appliance to include oven, hob, hood, microwave, dishwasher, fridge, freezer and washing machine. 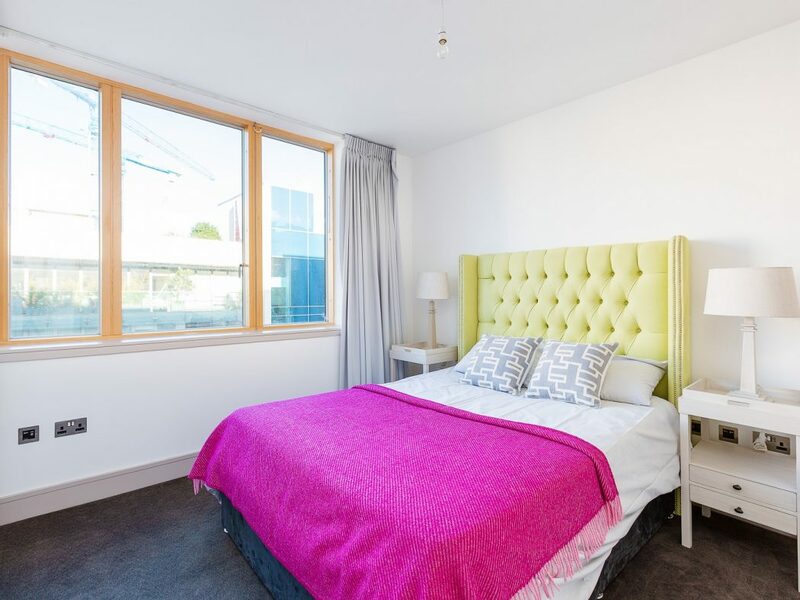 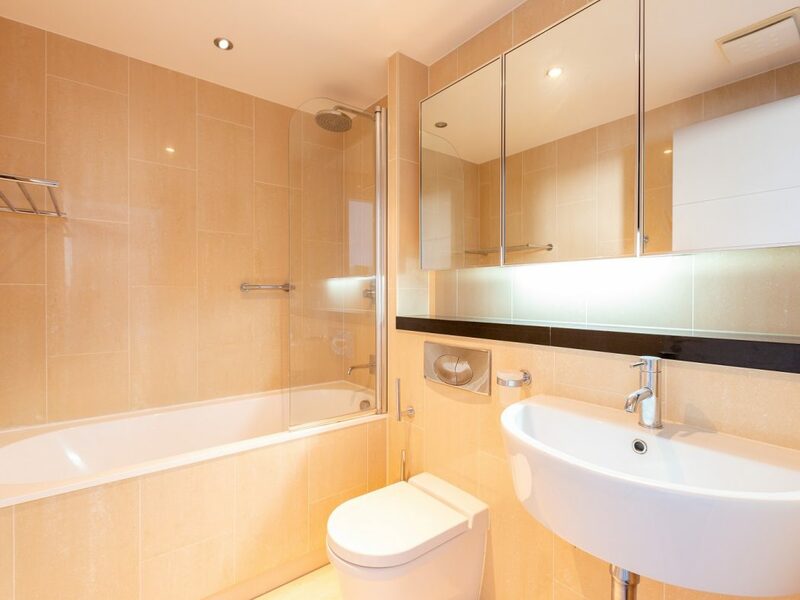 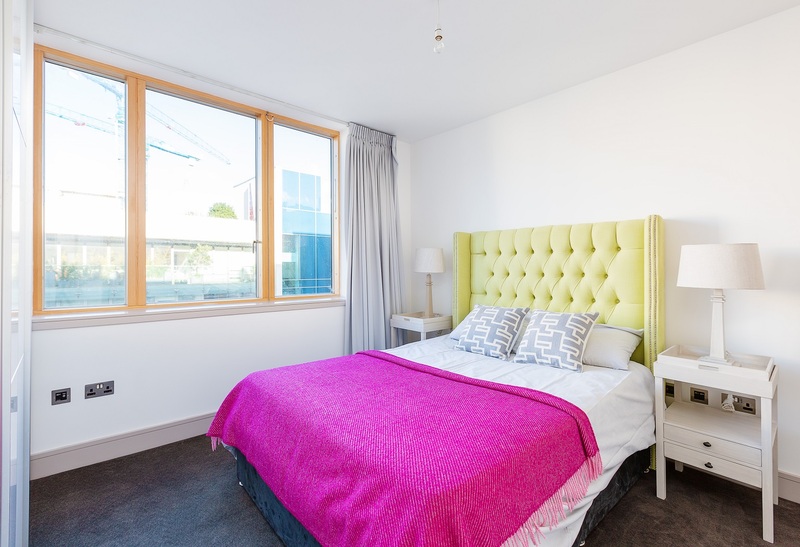 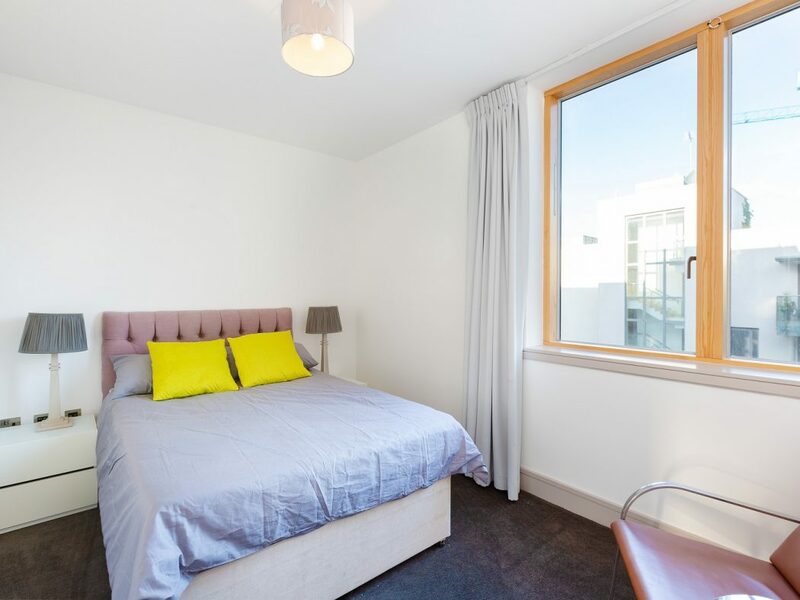 Generous double bedroom with high quality gloss sliding wardrobes fitted with internal lighting and en-suite bathroom. 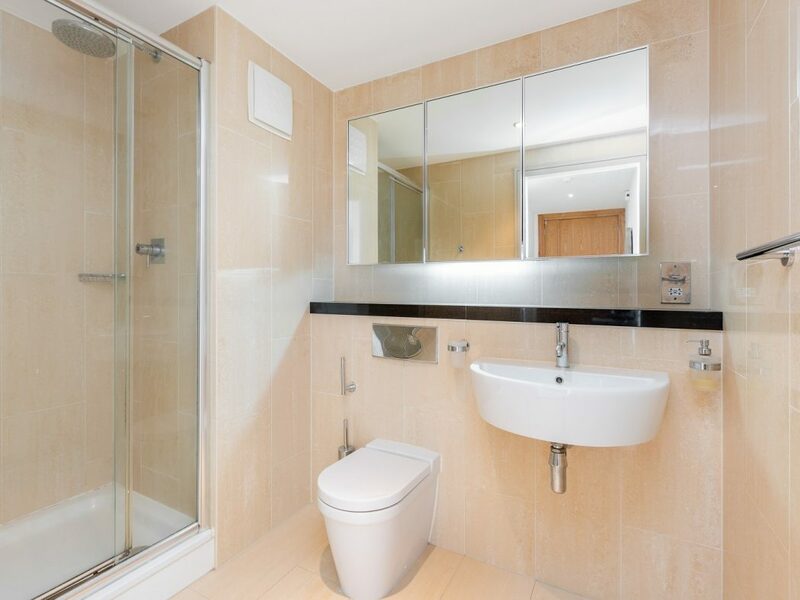 Stylish marble tiled bathroom with contemporary, white, Villeroy & Boch three piece suite and mirrored vanity cabinet. 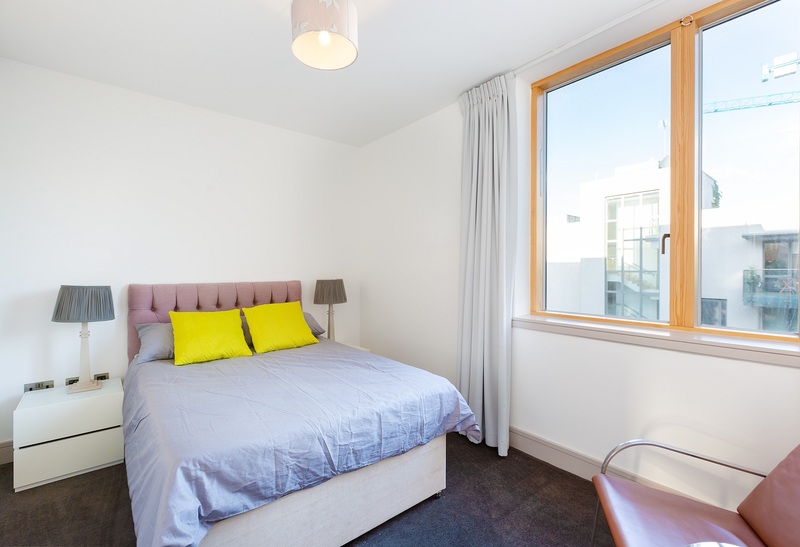 Double bedroom with high quality gloss sliding wardrobes fitted with internal lighting. 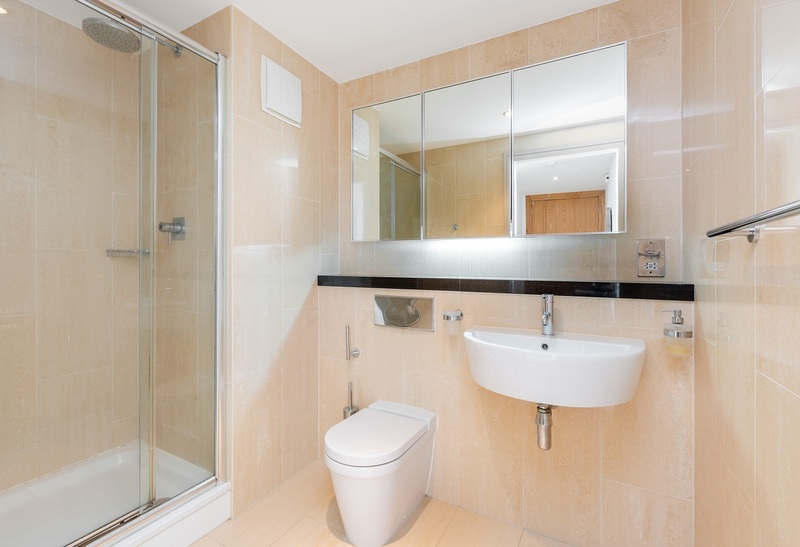 Contemporary marble tiled bathroom with granite shelf, mirrored cabinet, large shower cubicle, WHB and WC. 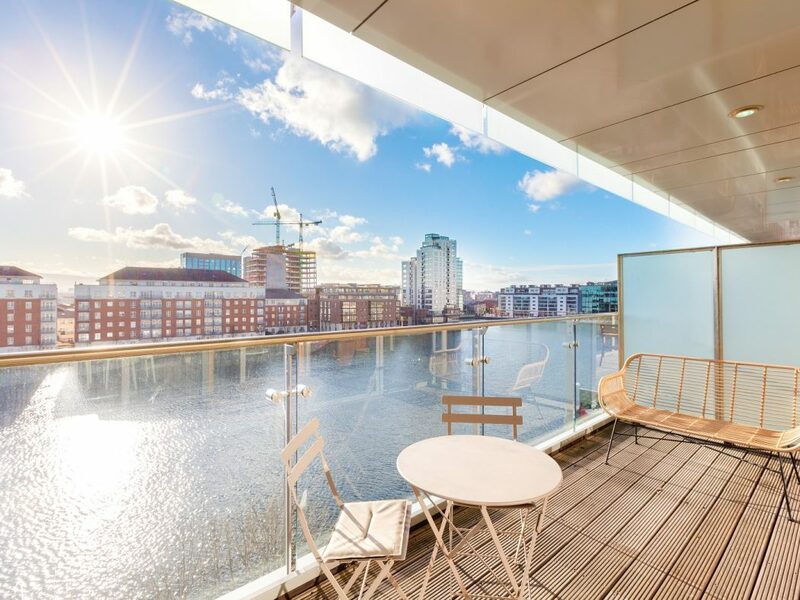 Spacious, south-facing terrace with spectacular water views overlooking Grand Canal Dock and towards the Dublin Mountains and the Aviva Stadium. 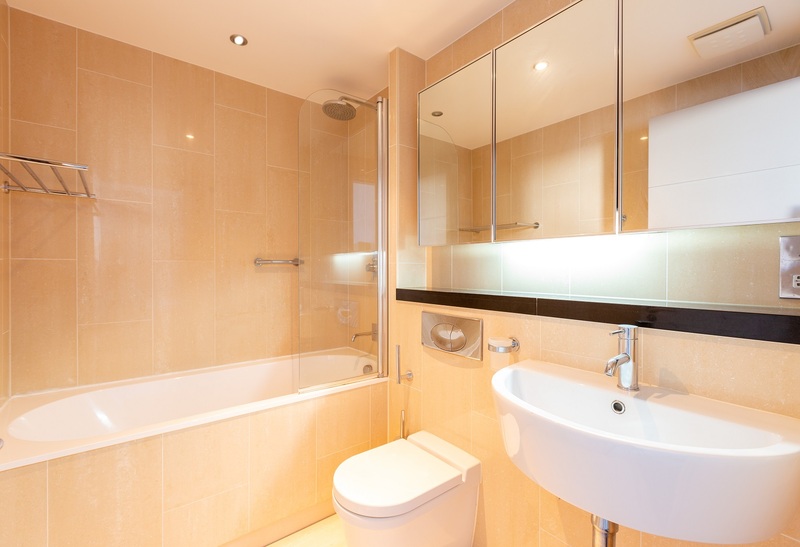 9 Ramleh Hall, Mount Saint Annes, Milltown, Dublin 6.